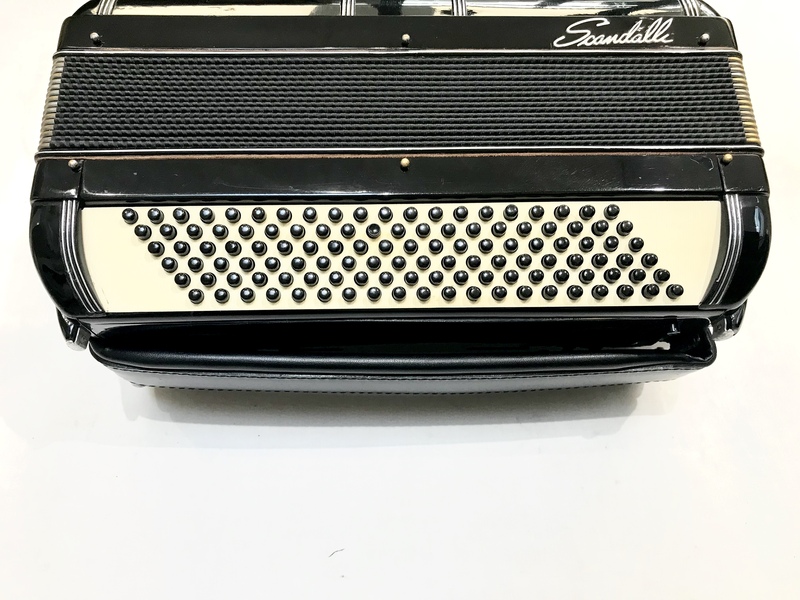 A preowned Scandalli Compact 120 Bass Accordion. 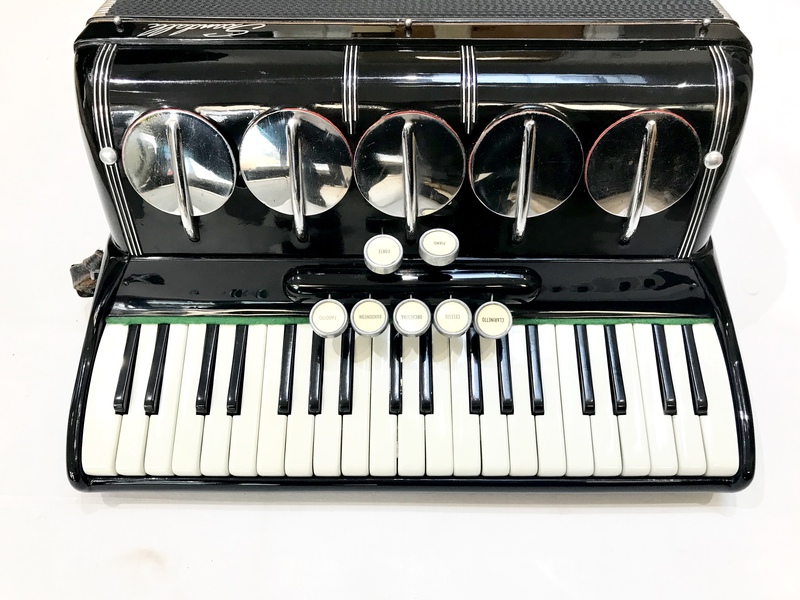 This ultra compact and lightweight accordion would be ideal for the smaller player who requires the full range of notes and buttons but doesn’t want to have the size and weight of a full size instrument. 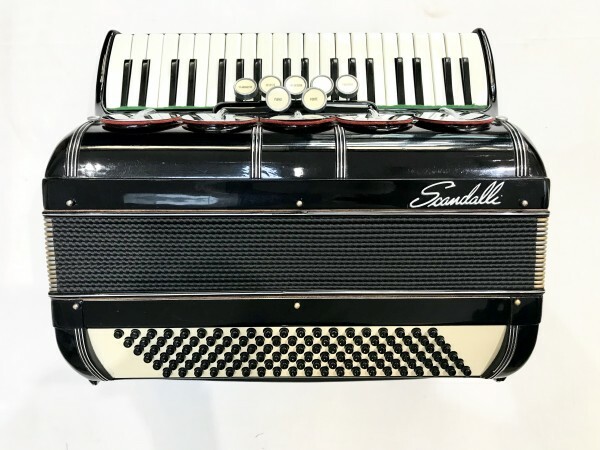 This Scandalli accordion features 41 reduced size treble keys and 120 reduced size bass buttons, making this classic accordion about the same size and weight as a 72 bass accordion. With a three voice tuning and a powerful bass, the Scandalli 120 bass compact accordion is ideal for all styles of music, and also boasts “polifonico” style grill mutes. Finished in an attractive gloss black casework, and presented for sale in good all round general condition for its age. Complete with your choice of either a soft gig bag or a hard case, padded shoulder straps and a 12 month component parts guarantee. 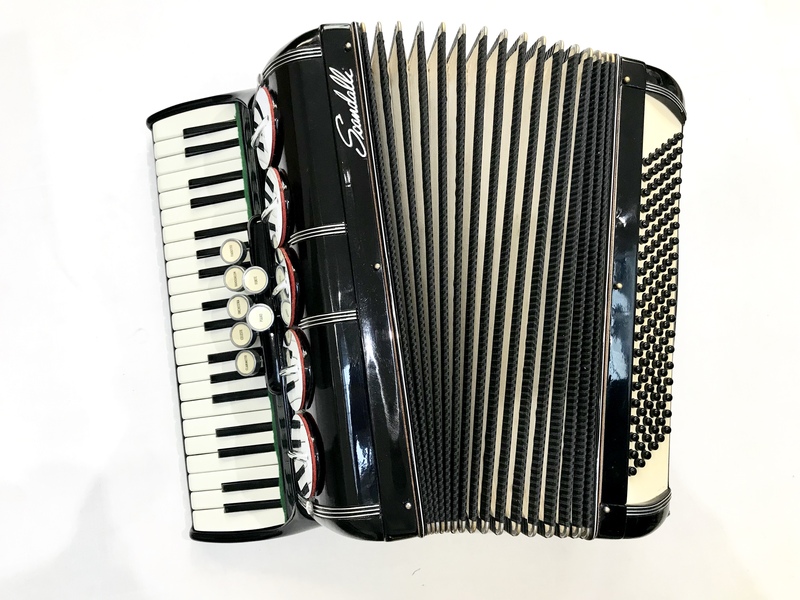 Don’t forget, free delivery of this Scandalli 120 Bass Compact Accordion to most parts of mainland UK is included! Weight: 7.71 Kg. - 17.1 Lbs.